Madigan Surveying Pty Ltd was formed in 1979 to provide consultancy to the construction industry and associated professions. From its inception, the company has built up a team of highly skilled Surveyors, technical support staff and cad employees expanding into a diverse range of survey services. Currently employing approximately 35 people, Madigan Surveying has the skills and expertise to undertake a broad range of services from the management of large construction sites to simple 2 lot land subdivisions and have contributed to many of Melbourne’s well known and prominent landmarks. Madigan Surveying is managed by a group of highly experienced Surveyors with many years in the survey industry. 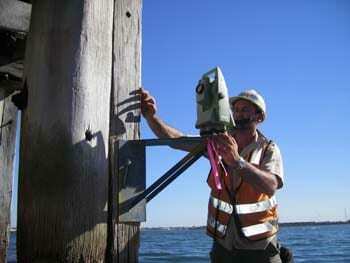 Madigan Surveying stay at the forefront of surveying technologies. We purchase the most up-to-date survey instrumentation and office software and hardware to service our clients.